Being a real, flesh and blood author is incredibly awkward. Being an online author–chatting, posting pictures, that sort of thing–is much easier. In real life, I just tend to get awkward. The first store didn’t have any of mine left–yay!! So I had to go to a different store across town, where I found my book on the shelf, snapped a photo, then slipped away. Because what would I say to someone? “Hey, I wrote this!” And then they say…. What, exactly? “Good for you!” or “That’s great.” And I say…. ?? I don’t know the response for that. You see? Very uncomfortable. Kind of weird. I have no idea how that conversation would go. So I lurk. I sidle. I snap selfies. I run away. If YOU’D like to lurk in a store and sidle up to my book on a bookshelf, now is your chance to do it! It’s in the stores–and you won’t look as weird as I do, because you’d just buy it all naturally, looking all normal and unruffled. Sometimes I forget how cool my job is. That seems a little nuts, because all my life I daydreamed about the day I was an author, wandering through a bookstore and seeing my book on a shelf. I wrote for smaller presses, my books making it into small Christian bookstores. I wrote for e-presses, where the bookstores were virtual. And now I write for Harlequin and my books are in every place that books are sold across North America. 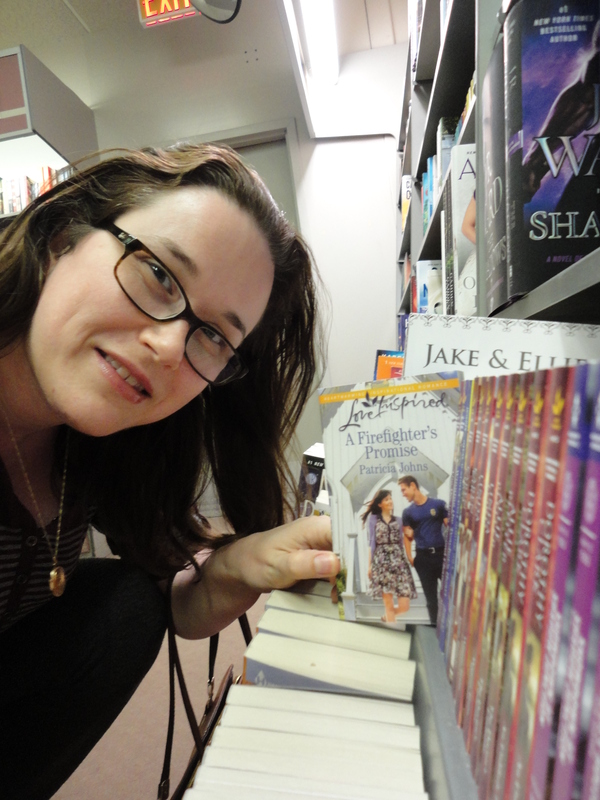 So it’s just plain wrong that it took me three weeks to go find my book on an actual shelf. 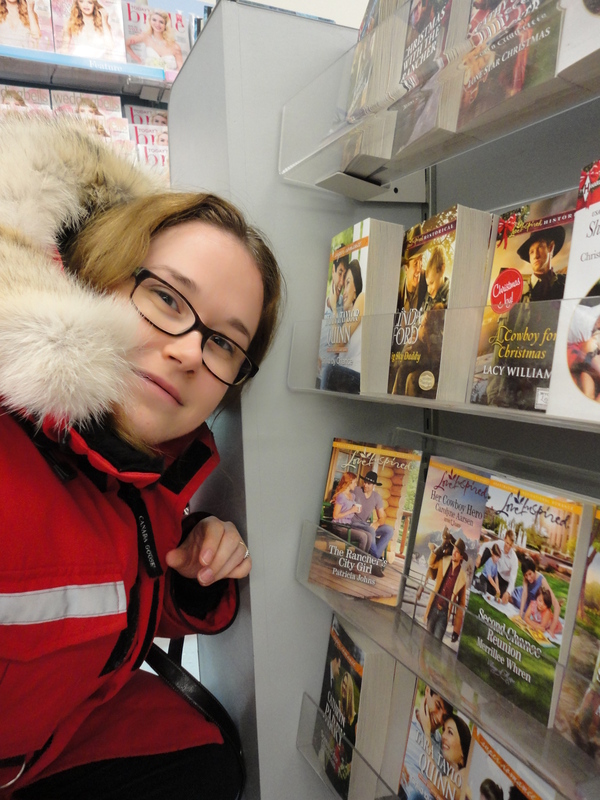 Why on earth would I not revel in the joy of seeing my book on the shelf in a Shopper’s Drug Mart? Or in a Coles? Or whatever bookstore is closest? 1. I really love the book writing process. A lot. That might sound counter intuitive, but once one book is done, I’ve moved onto the next one, and I’m planning or writing, or otherwise immersing myself in a whole new book. Sometimes I forget to revel in the final stage of a previous one. 2. A lot of a writer’s life happens inside her head, including all the “when I arrive” fantasies. It’s harder than I thought to move outside my head and into a brick and mortar book store to quietly celebrate. 3. I’m an idiot! Seriously, celebrating the achievement is important, and I need to take the time to do that. I might feel silly throwing a book release party for my non-romance reading friends, but at the very least I can stalk my book on the shelves. There is nothing more healthy than a good, old-fashioned book stalking.